Through the years, our club has received awards from GFWC Pennsylvania for our Community Improvement Programs and successful projects. Our 2015 St Patrick's Day Dinner Dance received the GFWC Pennsylvania award for outstanding Fundraising at the GFWC PA Annual Convention held on May 15th, 16th, and 17th in Lancaster, Pennsylvania. 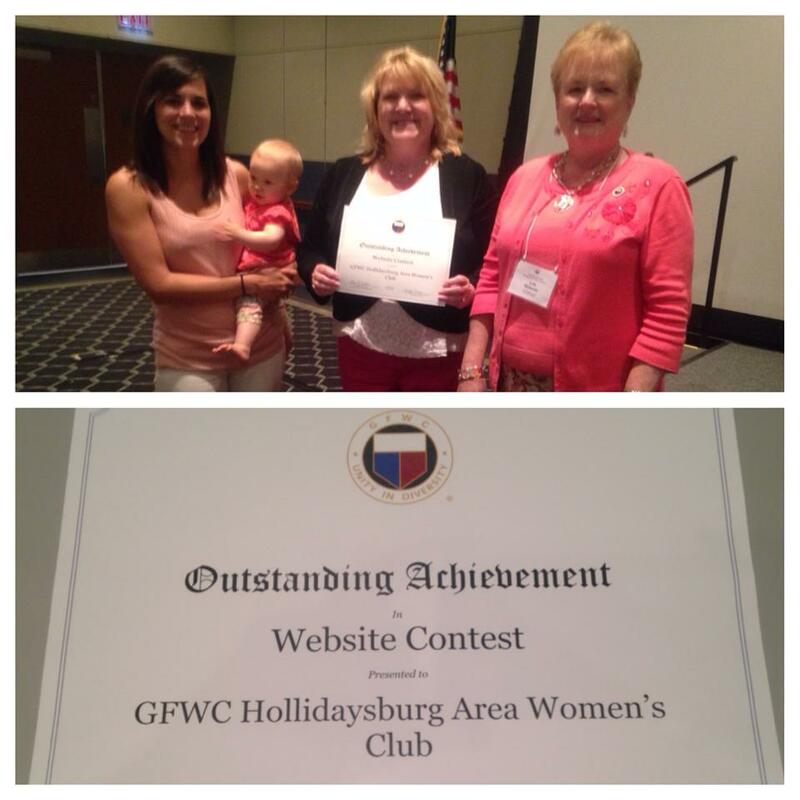 GFWC INTERNATIONAL AWARDS announced - GFWC Hollidaysburg Area Women's Club Outstanding Achievement/Club Creativity Award Website Contest!